Shoreditch is our nod to eclectic, industrial kitchen design. Available with or without a bead detail on the frame, the slab door and use of wired glass introduces a raw, urban edge not often associated with Davonport. Stripped back and purposefully lacking the polished feel of our classic styles, the Shoreditch kitchen is eclectic and unapologetically industrial. 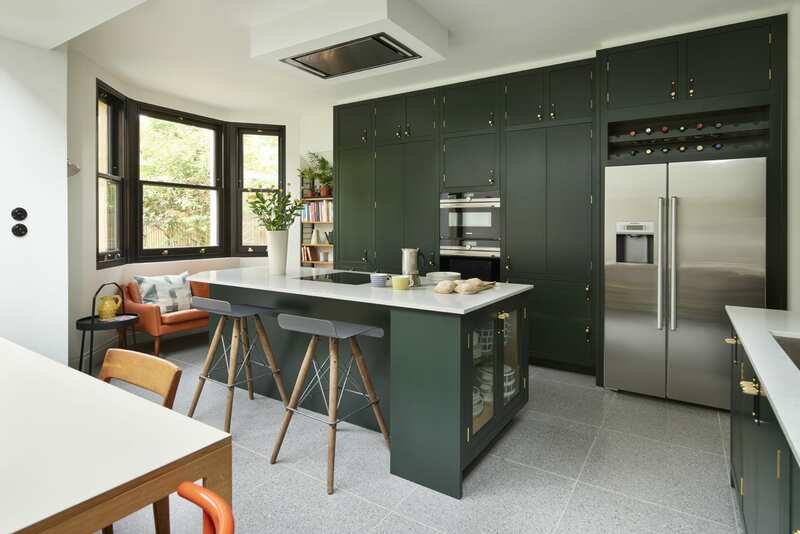 Paired with aged metal hardware and a mix of timber or stone worktops, the proportions of the Shoreditch kitchen make it particularly well suited to townhouses, loft apartments and smaller rooms. Whether your kitchen is a space for family, the enjoyment of cooking or simply for the pleasure of being, Shoreditch achieves all.